When it comes to creating an effective leaflet there’s A LOT you need to consider. So how do you ensure you have everything covered? This simple, pdf checklist could be your answer. 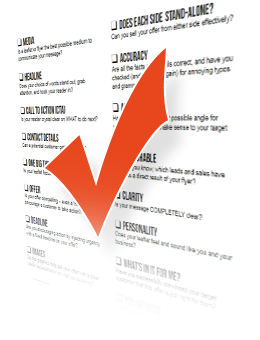 This single page checklist contains a comprehensive list of things to consider and tick off when creating a leaflet. So print it out and use it to give yourself the peace of mind that your leaflet has the very best chance of converting.